The remains of the late Chairman of the Credit Switch Technology Limited, Chief Ope Bademosi, was laid to rest in Ondo state on Friday, November 23rd. His wife, son and daughter are pictured above at the funeral. The late Bademosi was stabbed to death by his Togolese cook, Anani Sunday, in his home in Parkview estate, Lagos on October 31st. May his soul rest in peace, Amen. Continue to see more photos from the funeral below. Sunday Anani, the Togolese cook of businessman and chairman of Credit Swift ltd, Chief Ope Bademosi, has told the police how he killed his boss at their home located at No.3B, Onikoyi Lane, Parkview Estate, Ikoyi, Lagos, on Wednesday, October 31, 2018. A statement from the Lagos state police command’s spokesperson, CSP Chike Oti, says the journey that eventually ended the life of the business mogul and an Ondo state indigine, began in Ondo town, in the deceased home state, on 25/10/2018, when one Kofi Friday, 27, returned from Togo to Nigeria and called his compatriots including the murder suspect, Sunday Adefonou Anani, aged 22 years to his house at Yaba area in Ondo town to deliver messages from home. When Sunday came to take his message, the said Kofi Friday who happens to be his cousin, delivered the good news that he has secured him a job as a cook in a rich man’s house in Ikoyi Lagos through one Agbeko Ayenahin, a male friend of his. The suspect was subsequently taken to the deceased house in Ondo state on Friday October 26, 2018. 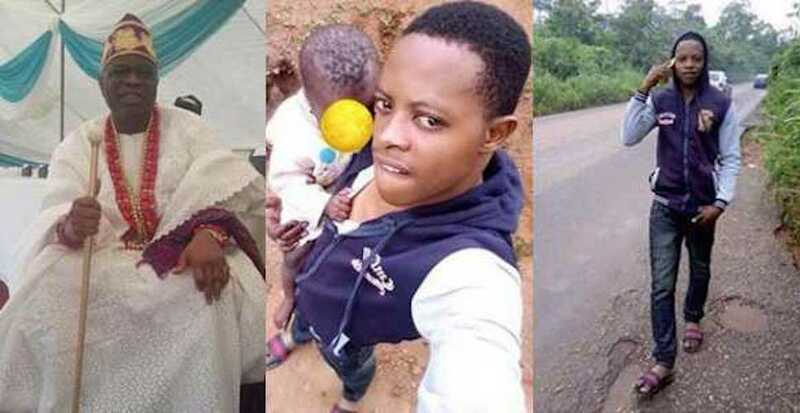 It is important to mention that deceased usually went home every last weekend of the month; so on Sunday, October 28, 2018, he brought the suspect, Sunday Adefonou, 22, to Lagos to start work as his cook. Three days after, Wednesday, October 31, 2018, the suspect with the intention to rob the deceased, made his way to his room through the kitchen, to the lobby and then to the room which was the scene of crime, when he observed that the woman of the house, Mrs Ebunola Bademosi, left home for a transaction in a neighbourhood bank called Polaris Bank, Falomo branch. The deceased said he had no money in the house. At this point, the suspect said he tied him up with a cloth and put him on the floor. He went further to say that the deceased while still on the floor kicked him causing the knife he tucked inside his pants to fall off. He added that the deceased crawled to pick the knife but he (suspect ) was faster; that he struggled with him and the knife accidentally pierced the deceased. He said that while exiting the room, the deceased took the knife to stab him so he kicked him and he fell down. He then took the knife and stabbed him twice on the chest which added to three knife stabs. When he was done killing the man, he entered his bathroom and threw away his apron already stained with blood and the kitchen knife used as murder weapon. He thereafter heard a knock on the kitchen door, sensing it must be the deceased wife, he ran out of the room and exited from the sitting room door. Oti in his statement said Sunday was confronted by the guard at the gate, one Nura Mamudu, who asked him where he was hurrying to and he replied that “madam sent me on an errand”. Finding himself in the street, he came across men loading cement into a Dangote truck. He assisted them and they rewarded him with a lift to Ondo state and the sum of five hundred Naira (N500. 00) given to him by the truck driver in appreciation. – That the deceased’s wife entered the crime scene through the sitting room after knocking several times on the kitchen door without response from the suspect. – That the suspects Kofi Friday, Agbeko Ayenahin, Salisu Hussein and Nura Mamudu are not linked to the crime. The police say investigation has established a prima facie case of armed robbery/murder of one Opeyemi Bademosi, male, aged 67 years against Sunday Adefonou Anani, male, 22 years. It is evident that the suspect single handedly committed the crime by stabbing Opeyemi Bademosi to death with a kitchen knife with intent to steal from him. Chike added that the suspect will be arrainged in court while the other suspects who are not linked to the crime will be released to reliable sureties. The Commissioner of Police Lagos State, CP Edgal Imohimi has directed that the casefile be duplicated and forwarded to the office of the Directorate of Public Prosecution (DPP) for vetting and legal advice. He noted that the murder suspect, Sunday Adefonou Anani was availed the services of a French speaking lawyer from the Office of the Public Defender (OPD), who was with him throughout the duration of this investigation.